By now you know I'm a big advocate for compression socks. The good ones work and work well. The bad ones don't work at all and probably have a price that makes you wonder what the difference is between them and the expensive ones until you wear them. 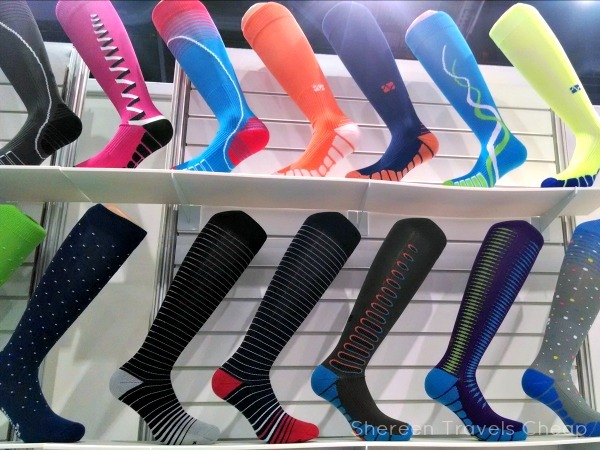 Of the many things at the Travel Goods Show, I was very interested in trying a new (to me) brand of compression socks and Travelsox easily agreed to be that company. 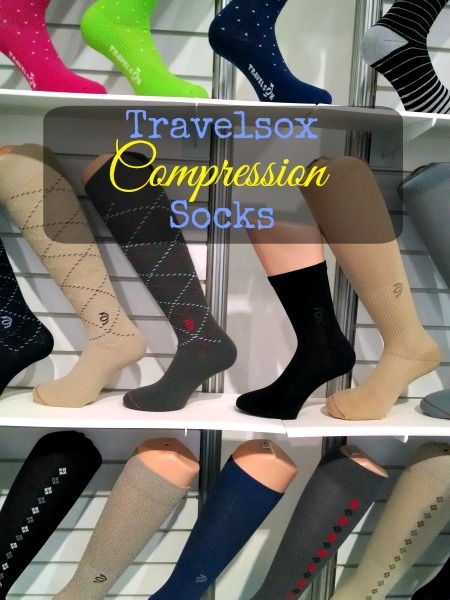 If you find yourself with swollen feet and/or ankles when you travel, either from long flights or just extensive walking, then you need to get yourself a pair of good compression socks. We've finally gotten to the point where they are more common and therefore come in a lot of fun designs as well as the classic colors you want. 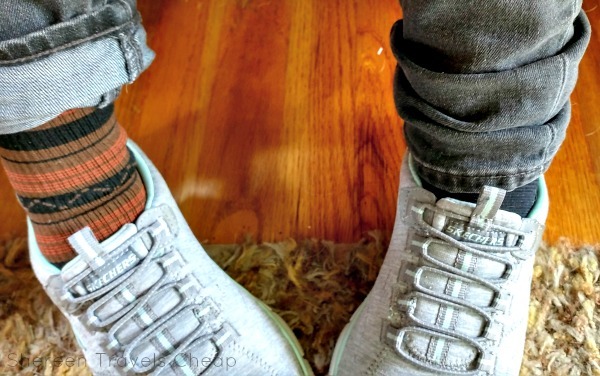 They don't look like old people socks anymore, so you won't feel weird wearing them. The days at the Travel Goods Show were long with lots of walking the convention center and standing talking to vendors. I won't complain, because it's fun, even though it's work. Travelsox had a ton of fun designs, many of which are new, and I was interested to see how well they worked for my legs at the end of a long day of walking. When I got back to my room and settled in for the evening. I slipped these on and left them on, even after I went to sleep. They massaged my legs in all the right places and I could feel it helping to get my blood flowing again. My legs, ankles and feet all began to feel less swollen and achy (always a plus when you have more days of walking ahead of you). I left them on halfway through the night until I needed my feet to be cooler, but those hours of use really made my legs feel much better and ready for the next day. Since coming back from Vegas, I've been wearing these regularly on workdays where I'm standing for 8 hours at a time and they have made a world of difference. Usually, standing that long makes me feel like I want to cut my feet off too, but these help with the pressure, because they make sure that my legs and feet don't swell at all. And after a long day, my feet don't feel sweaty and they aren't stinky either, because Travelsox uses a patented fabric called Silver DryStat, that uses silver to make your socks antibacterial, antiviral, antimicrobial and anti-fungal. That's awesome, right? They also use their own fiber called MICROSupreme to give your socks moisture-wicking properties. These hug your legs and feet in just the right way and aren't bulky at all, so you can wear them with all your favorite shoes, even slip-on ones like my work tennies above. In the cold warehouse they make sure that I'm warm, but not hot, and keep my feet happy even after hours of standing on a concrete floor. I don't know about you, but this is invaluable to me. I know that when I travel, I can wear them all day without issue and even if I just wear them when I'm back in the room, while I won't get the full benefits of wearing them while I'm actually active, they will they take down my swelling and hit all my aching points, so I have fresher feet the next day. And because of their anti-odor properties, if I can't do laundry for a couple days, I can wear them a second time with no problem. I'm guessing I'll just order another pair or two. Know someone who has bad circulation or do you need help on long flights yourself? 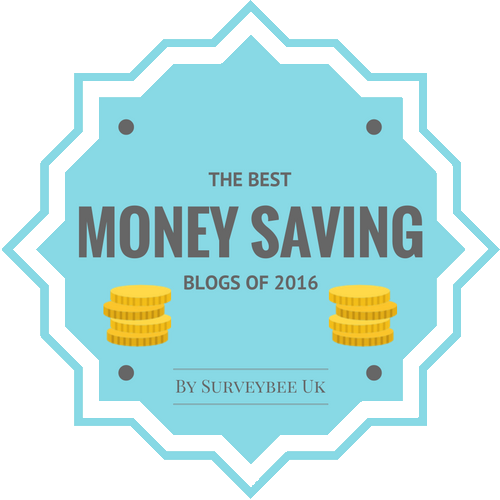 These are half the price as some of their competitors and they are just as efficient, if not more. They come in fun colors and patterns or classic colors, plus you can get shorter socks if you aren't a fan of the knee-high version. Just know that they won't give you the great calf massaging benefits that you get with the taller ones, but maybe your issues are ankles and feet. If that's the case, then those shorter socks are perfect for you. Colors: Pretty much anything you're looking for. 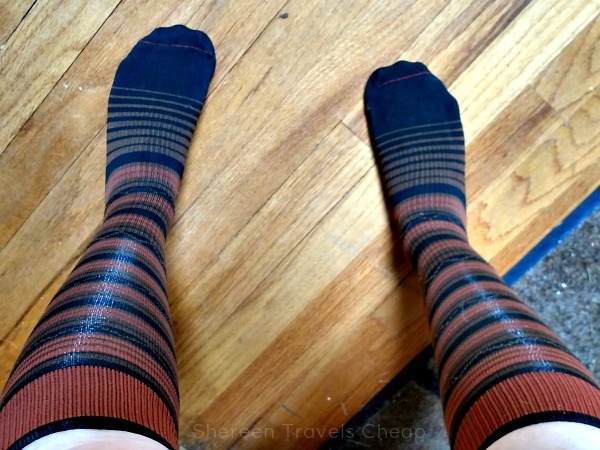 I'm wearing the TS1167 Travelsox Stripe OTC in brown. Fabric: Composition: 75% Drystat, 15% Lycra, 10% Nylon, Care Instructions: turn inside out, machine wash warm, tumble dry cool, do not bleach, iron or dry clean. Disclosure: I was provided with a pair of Travelsox compression socks for the purposes of this review. As always, all opinions are 100% my own.